City Councils Voice is Being Heard by the Provincial Government. 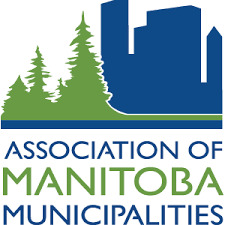 At Tuesday nights Flin Flon City Council meeting Councilor Colleen McKee reported on the recent Association of Manitoba Municipalities meeting. She said it was a busy three days during which along with business and resolutions Council met with five provincial cabinet ministers and attended the Northern District meeting. She said it was good to let the ministers know we are here and what our concerns are. Mayor Cal Huntley added they are starting to see some reaction to issues they have been raising with the government for a long time such as the basic tax and outlying areas and some results may be coming. He said they understand Flin Flon has issues and are willing to work on these and not just depend on others to find solutions. Council will also attend the Saskatchewan Urban Municipalities meeting in Saskatoon in February. Mayor Huntley also added to his earlier statements on the planned closure of Hudbay in 2021. He said they are waiting for more details on how that will take place but have for the past three years and continue to look at ways to diversify the local economy including moving forward to a service community.